My daughter “tagged” this nice lady from a bird sanctuary as me on her Facebook page last year. I am not the bird lady at the sanctuary… but I do love birds. I love wild birds. I feed them at the lake house. I have three bird feeders and four hummingbird feeders. I have bird books to identify the birds around our property. 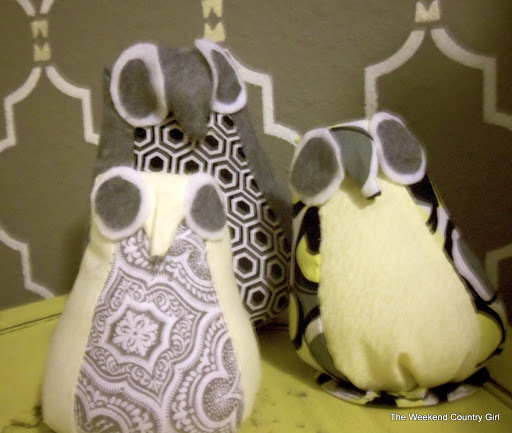 Because of my obsession, I wanted to incorperate birds into my guest room. 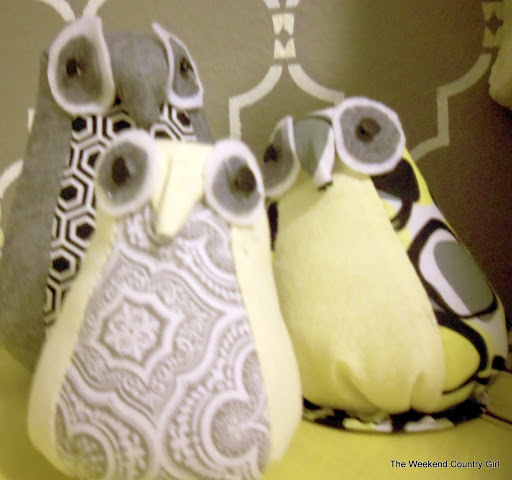 I saw these great owls on a post from All Things Thrifty. Thanks to Brooke for telling us where she found them, because I loved the vintage quality they have. I headed for Kohls as soon as possible to snag them. I was thrilled to find that they were 50% off. I also had a 20% off coupon, and, best of all… a friend gave me her $10.00 Kohls cash that was about to expire. Score! 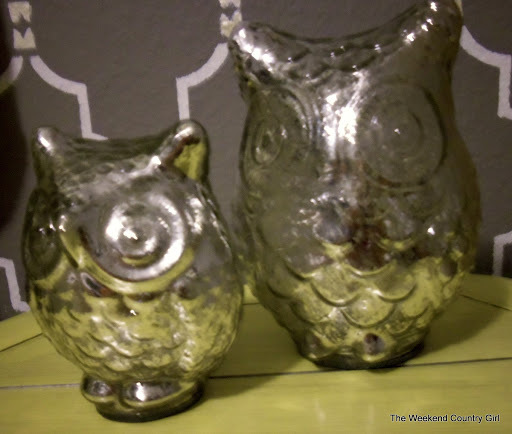 The two owls cost me less than $5.00. Once I got them home I knew that I wanted them on the night stand. The other night stand needed some owls too. 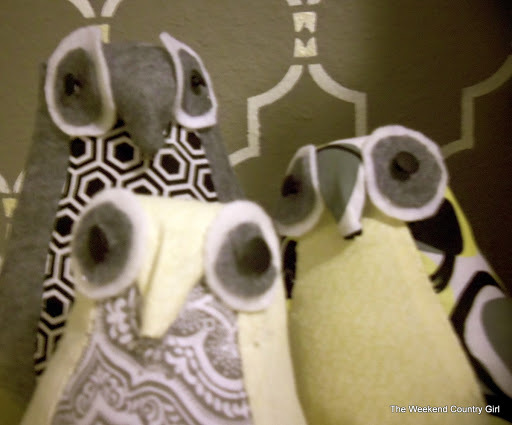 I found these owls on Pinterest. Efemera’s awsome directions can be found by clicking the link to her blog. The directions were super easy to follow. Make a template. 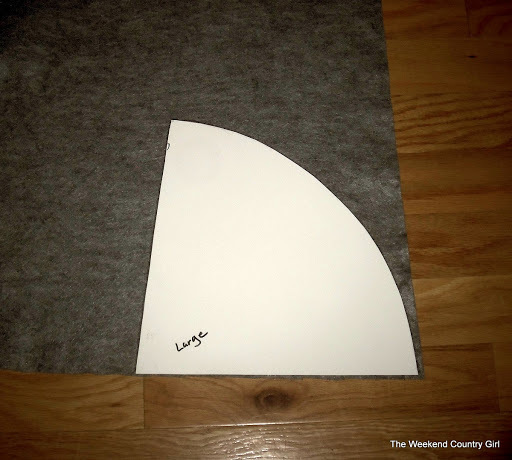 Trace the template onto the fabric you choose. 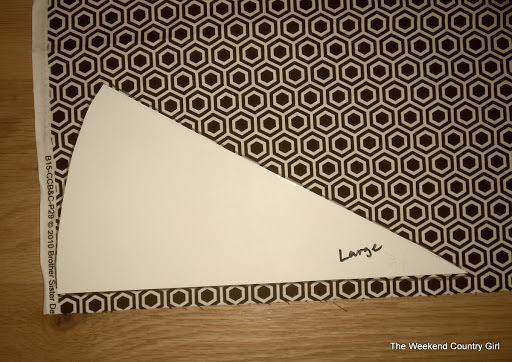 I created a small, medium and large pattern. I placed the patterns on fabric I purchased at Hancocks. I bought four 1/4 yard sections of fabric. That was not big enough for the largest template. I had to use felt from the wreath on the big one. 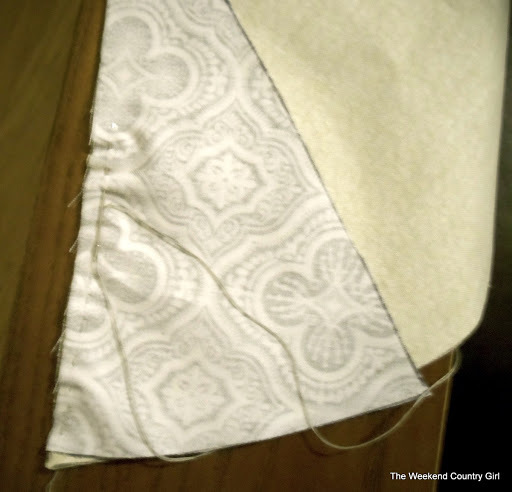 Once the sections were cut out it was a simple matter of hand stitching them together. Remember put the good side of the fabric together… I had to redo one. Stitch one side then match up the other side. Super easy. No sewing machine required. 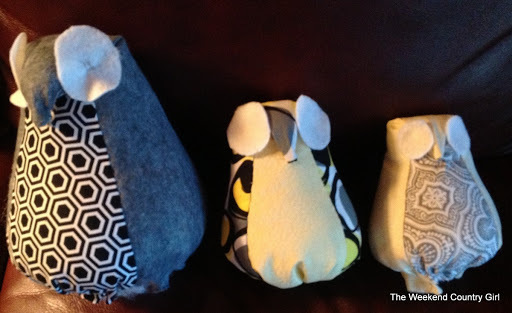 Here they are with the gray part of the eyes attached. I did get the button eyes on Tuesday night. They really “look” better now! 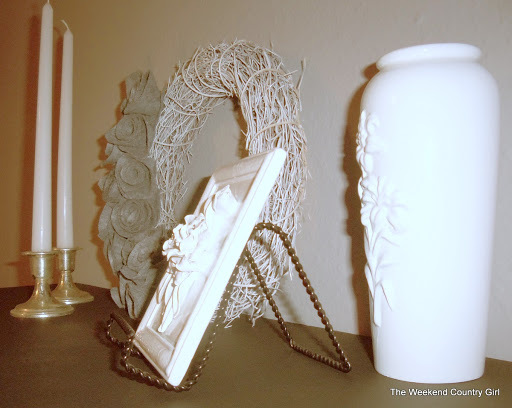 I am feeling too lazy to update my armoire cabinet blog… so here are the pictures with the candles in them. I love the gray and white on the black cabinet. 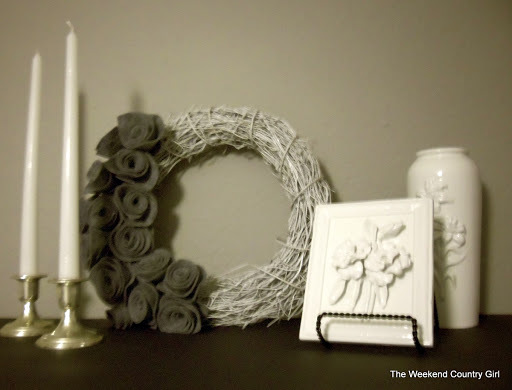 The light gray wall is perfect for this. It is very soothing. I do love a finished project. I will be completing another bird art project this week to finish off the room. Almost there. Yeah!